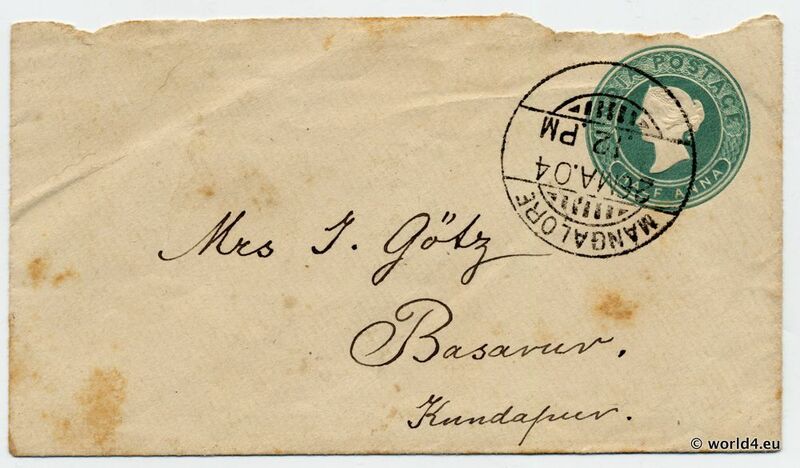 Home » 10s » India letter from Mangalore 1904. India letter from Mangalore 1904. India letter from Mangalore 1904. India Postage Revenue Half Anna Stamp. 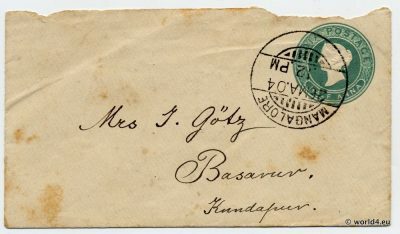 India postage with half anna, send from Mangalore to Basarur, Kandapur, India. Nice clear Postmark. At that time India was still an essential part of the British empire. The address is evidence of a European woman. Her name was J. Goertz.